Puzzle on freedom fighters. On the eve of Independence Day, we held a puzzle solving session on freedom fighters. The winners were offered movie vouchers. Patriotic song. 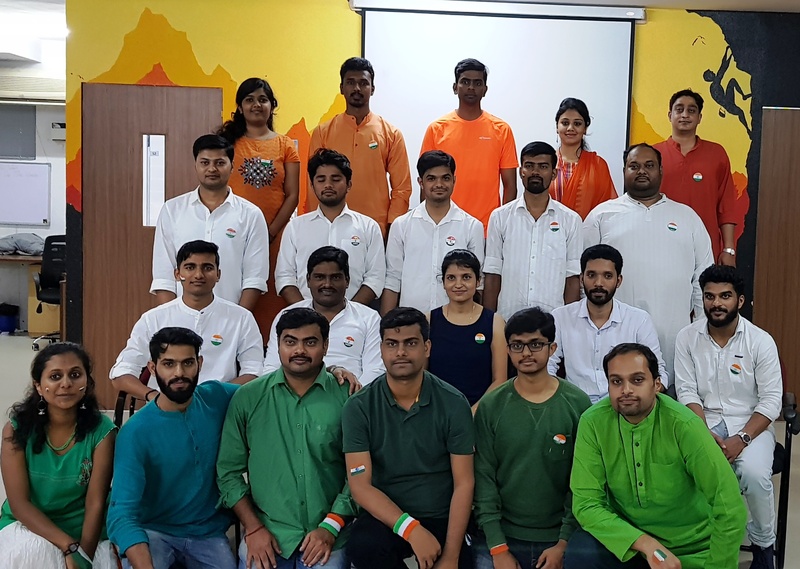 On Independence Day, 80%+ employees participated in group singing. Our enthusiastic employees entertained us with dance as well. Blood donation camp. A joint initiative by Sakha Global and Sankalp India Foundation to make India Thalassemia free. 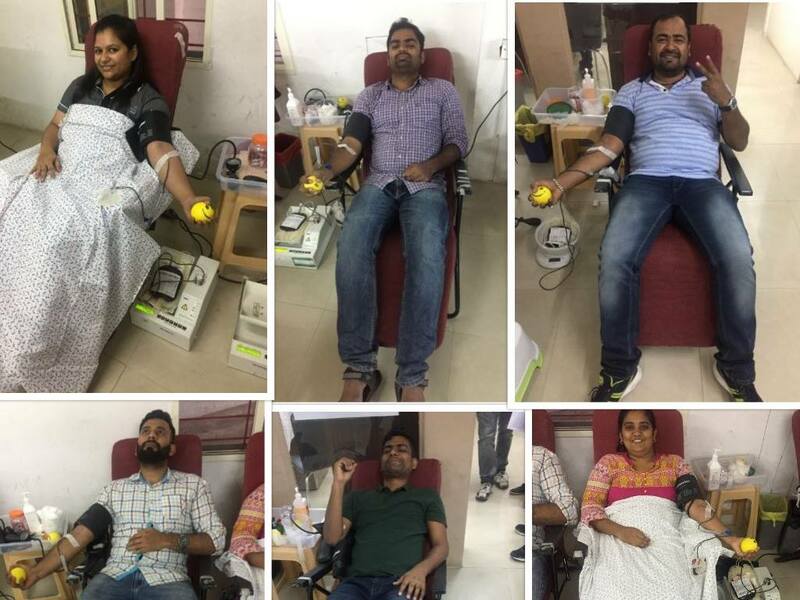 Overall, team Sakha saved 75 lives! Donations of funds & essentials to flood affected areas. As Kerala and Kodagu (Karnataka) reel under heavy flooding, people across the country & around the world are making an effort to volunteer, collect relief material or help in some way or the other. 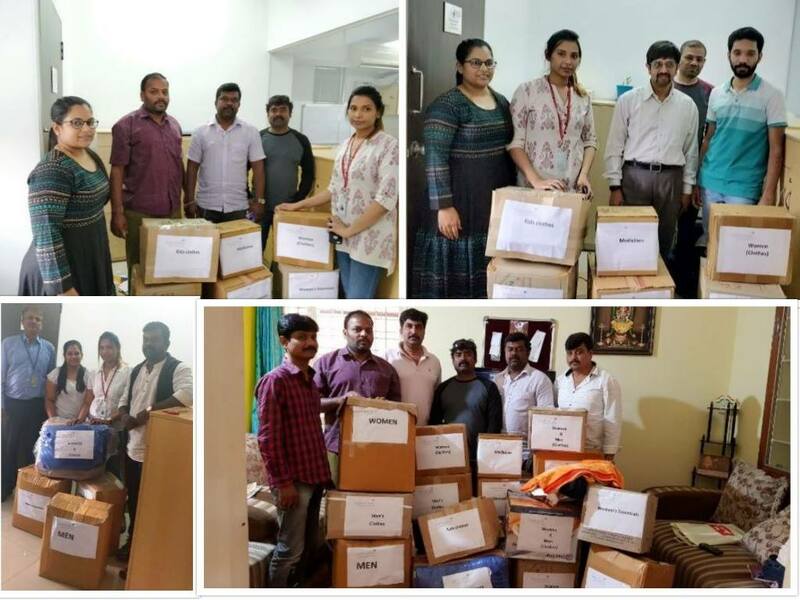 We did our bit by organizing funds collection drive & relief materials drive from our employees.